A week later me and my husband were headed to the doctors for an ultrasound. 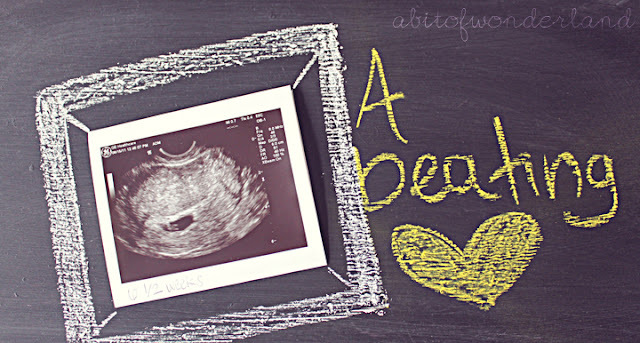 I was super terrified, because I had been spotting like I was my previous pregnancy before this one, and I was scared that the baby was going to have no heartbeat.....as the doctor placed the probe on my stomach I turned to the screen and saw my beans flickering heart! He measured at 6 1/2 weeks & I was given April 7th as my due date!